We have Bill Hicks as a guest this episode. Bill is the Chief Relationship Officer for Ultimate Software. He is responsible for managing Ultimate’s ongoing relationships with 3700+ customers. Previously, Bill served as Ultimate’s Chief Information Officer overseeing the company’s award-winning IT team. 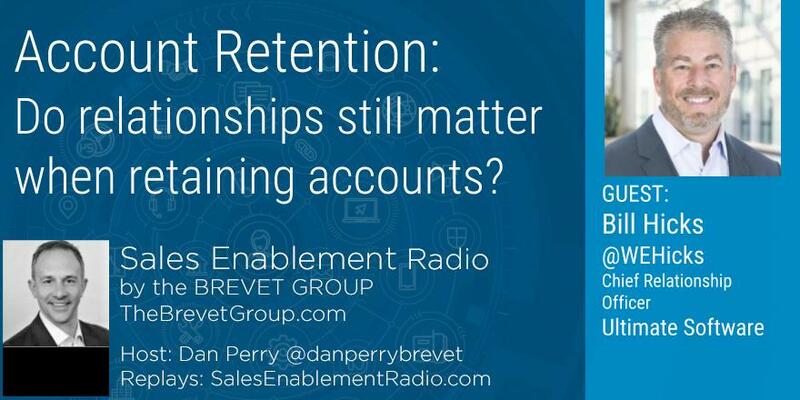 Do relationships matter as much as they did several years ago as they do today in account retention? How do you enable your team to build these relationships? What sales organizational structure do you use to maximize the value of these relationships? What can an account manager do to build these valuable relationships inside current customers? How important is an account coach or champion inside? Is Sales Enablement a process, a technology, or a cross-department effort? 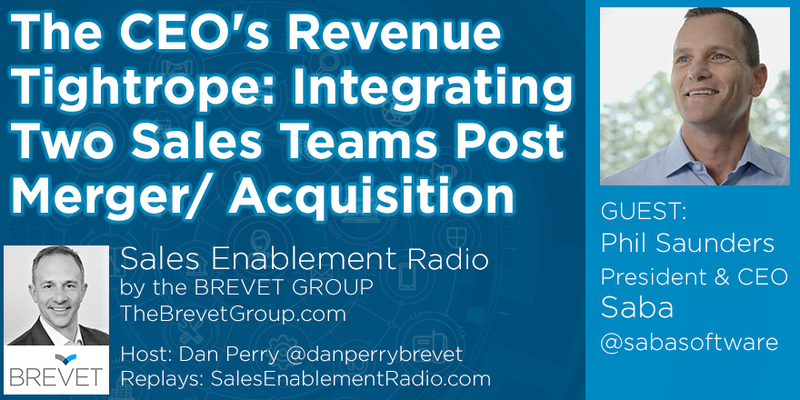 How soon can Sales Enablement turn from a philosophy to a reality for bottom line results? To answer these questions our guest is Mike Kunkle. Mike is a highly-respected sales transformation architect and internationally-recognized sales training and sales enablement expert. He is the founder and sales transformation architect at Transforming Sales Results, LLC. What do the most successful companies’ approach, structure and implement in a Sales Enablement Organization? How do you start building a Sales Enablement Team? Why is there such a ‘buzz’ around Sales Enablement Today? How is it different than Sales Training? How do I get from where I am in my sales enablement plant to success as fast as possible? Mike is founder and sales transformation architect for Transforming Sales Results, LLC. At TSR, Mike advises company leaders as they architect and implement a systems approach to sales. He writes, speaks, leads webinars, designs sales learning systems that get results, and guides clients through all aspects of their sales transformation. Mike also freely shares many of his sales transformation methodologies, speaking at conferences, on his webinars, and writing online, and can be reached via email, on LinkedIn, or through his Services page at www.mikekunkle.com. Inside Sales is expanding in the market. Are you ready? How is Inside Sales expanding? How is your team enabling your Insides Sales people to be successful? What does the future hold for Inside Sales? Sam is the Senior Vice President of Small Business & eCommerce at 8x8 Communications. Sam is responsible for all global small business and eCommerce sales, operations and delivery with an aim to accelerate growth and productivity in this high-volume, transactional business. He joins 8x8 from MobileIron where he was instrumental in taking the company public and part of the team that grew annual billings from $26 million to $200 million, including building and leading their eCommerce business. Prior to MobileIron, Wilson spent 14 years in technology banking, both as an analyst covering communications and as an institutional investor. He was also in the US Army for 4 years. Sam holds a B.S. in Electrical Engineering from Seattle University (Go Redhawks) and an MBA from the University of California, Berkeley. At 8x8, they help companies get their employees, customers and applications talking to make people more connected and productive no matter where they are in the world. Our solutions provide unmatched value for organizations across the globe by reducing complexity and cost, improving individual and team efficiency and performance, and enhancing overall customer experiences. You can find more information out at 8x8.com. Account Retention: Do Relationships still matter when retaining accounts? 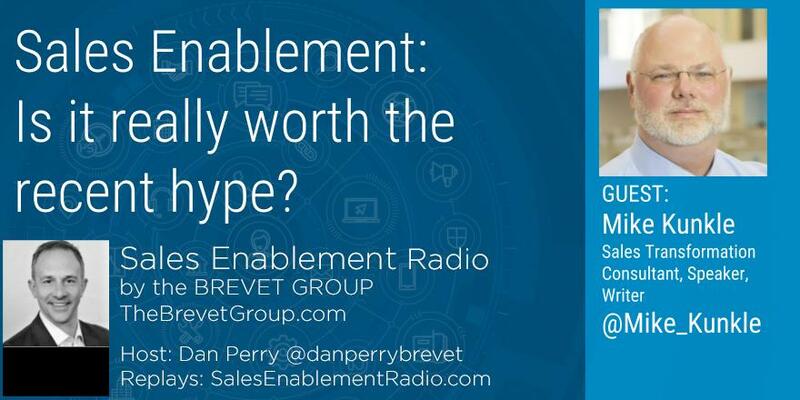 Sales Enablement is it really worth the recent hype? Thursday July 19, 11:00 am Pac - Mike Kunkle is our guest today. Mike is a highly-respected sales transformation architect and internationally-recognized sales training and sales enablement expert. He is the founder and sales transformation architect at Transforming Sales Results, LLC. If I already started, How do I get from where I am currently at to success as fast as possible? 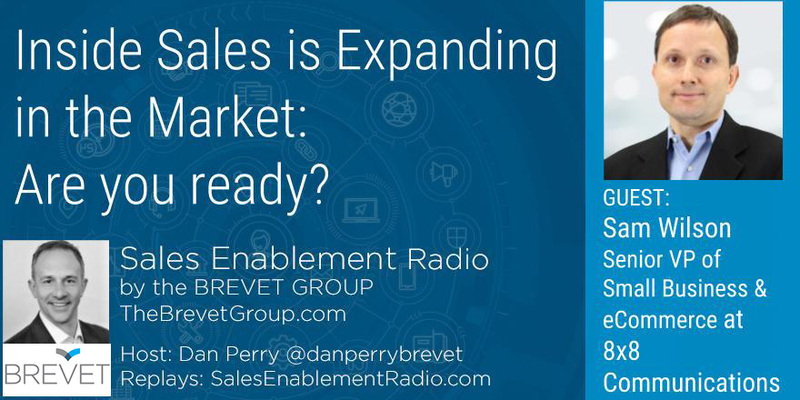 What does the future hold for Sales Enablement?